By Nels Dzyre in Desktop. Updated on July 6, 2017 . If you have never had your PC infected with a virus, you are in the minority. The threat can come from your Internet browser, pop-ups, emails, software you use, etc. These viruses come in to not only steal your data, but negatively impacting your PC, eventually rendering it unusable. If you’re tired with dealing with them, and want to find a standard procedure that you can follow to properly eradicate these viruses, this is the guide for you. Here are 6 steps to fix an infected PC, and to prevent your PC from future virus infections. This is the simplest method to restore your PC to the state before it was infected. The system restore will return your computer settings to its prior state (based on a state) without any change to the files in your computer – as long as the system restore feature is not disabled by the virus. Open the Start menu > Click on All Programs. Next, go to Accessories > System Tools and click on System Restore. Once the program opens, click on "Restore my computer to an earlier state". Select the date on the calendar before the PC was infected and click Next. You will be presented with more information regarding system restore, read it and click Next to reboot your computer. After the restoration process is finished, your computer will return to its normal state. 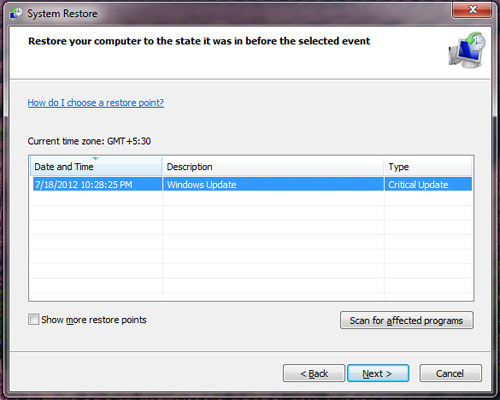 Note: Windows 8 users can open System Restore by the Metro search function. Search for System then click on System > System Protection > System Restore. Got your PC back? Good. Now it’s time to take a few more steps to make sure that the infection has been cleared. A virus is dangerous upon execution. Just because your PC is no longer showing the symptoms, it doesn’t mean that the virus is already gone. It may still be lying somewhere inside your PC, waiting for the opportunity to re-emerge. To find the virus, you need to conduct the obligatory scan. However, before you run the scan, you need to make sure the virus isn’t already running in the background. If they are, you might not be able to detect them – they may have ways implemented, to avoid detection. Here’s where you need a tool to help you. RKill is free to use and can help you stop viruses from running in the background in a matter of clicks. However, some viruses could prevent programs like RKill from running. In cases like this, try renaming it to iExplore. In doing this, you could "trick" the virus into thinking that you are running Internet Explorer instead of the RKill software. 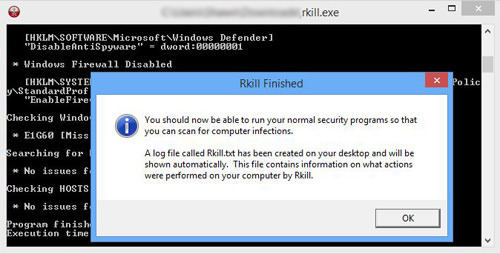 Once RKill has stopped the viruses from running, download TDSSKiller and use it to scan your PC for malware. Once the scanning over, if there is a threat, you can use TDSSKiller to cure or remove them. TDSSKiller will automatically prompt you with a cure or simply delete the malware. Once you’re done, restart your PC. Once rebooted, run RKill again. Then download Dr. Web CureIt! and run the scanner to look for leftover malware, Trojans and spyware. By now your system should already be free from most viruses, but if you still want to make sure you have cleaned your PC thoroughly, check out the next few steps. Time to go into the specifics. You can use software like AdwCleaner to remove adware, Junkware Removal Tools to remove unwanted toolbars, and Malwarebytes if you think there is some more malware that still resides in your PC. Before using any of the software, remember to run RKill first. Also, remember to update the database of the software to get its latest changes before starting the scan. The reason why you need to keep updating them is because viruses come in many different forms and spread easily all over the Web. With an updated database, you have a higher chance of the software detecting more types and versions of viruses. With the house-cleaning complete, it’s time to setup a firewall for added protection. 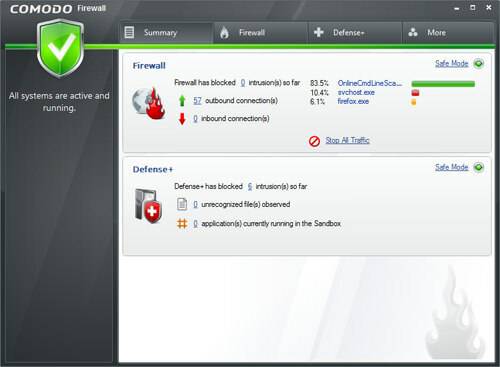 Comodo is a firewall program for windows that helps protect your PC from threats, monitor your connections and secures your connections. Download it here and install it to protect your PC. This way, every software you install or run will have to go through Comodo’s inspection first. If it suspects that something is wrong with a particular software, it will flag the program, and ask you if you want to keep or remove the software. One last thing you can do to help prevent future losses of important data is to enable System Restore. Having a restore point is convenient because if your PC gets infected, you can fix it by just restoring it to an earlier state of the system. The best part is that you can save a restore point whenever you want to, for instance after you have done cleaning your system. Here’s how to have your windows system restore enabled. Go to Start Menu > Run. If you can’t find the program, search for Run and click on it. In the run box, type gpedit.msc and press Enter. You will be presented with Group Policy Folder. Click Computer Configuration on the left. Next go to Administrative Template > System folder. Look for System Restore folder and click it. 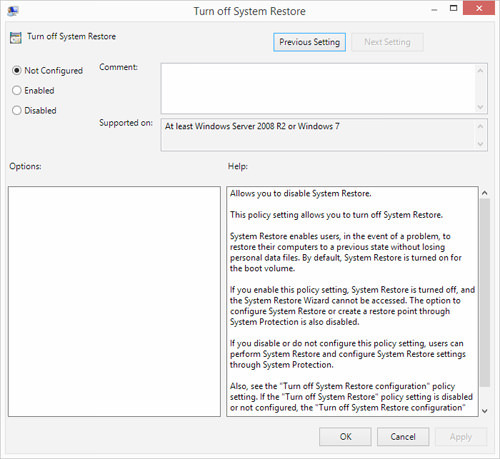 Once inside, go to the right side of the Group Policy Folder window and double click on Turn Off System Restore. Choose Disable and then click on OK.
Go back to the System Restore folder and double click on Turn Off Configuration. Choose Not configured. Then, press OK.
Once done, close everything and restart your computer. Once you have your system restore enabled, you should take note that every time you run windows update it automatically creates a restore point before your PC starts installing the update. That way, if there is something goes wrong with the update, there is a restore point to go back to. If none of the above methods work to solve your PC infection problem, put your trust in almighty Google to help you search for a solution. It is possible that the problem you are facing may have happened to someone else before, and there is probably a Q&A thread somewhere that addresses the problem as well as carry the solution (add the keyword "solved" in your searches) you are desperately looking for. You can start here. Also remember that there isn’t really a surefire way to remove a virus. Even antivirus programs need to be regularly updated to do their work properly. Then again, we can only fall back on standard procedures much like what you see in this guide to get rid of the common culprits. Where do you usually go to find solutions to your PC infection problems?